Internet offers us the possibility to access information in various languages, which can help us to develop a project or find a lot more data about any subject that we are interested in. If we want to find the specific definition of a word, we'll always be able to use an application like WebDicty. 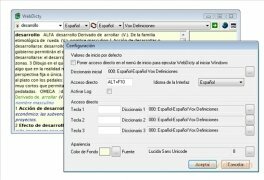 This simple desktop tool can find the definition of words in different languages, among which we will find English, Spanish, German, French, Italian, Dutch, Catalan and Basque. 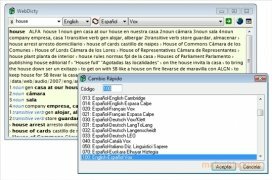 To use the program we'll only have to paste the word that we want to translate, select the languages with which we want to work and the dictionary that we want to use, and press the process button. 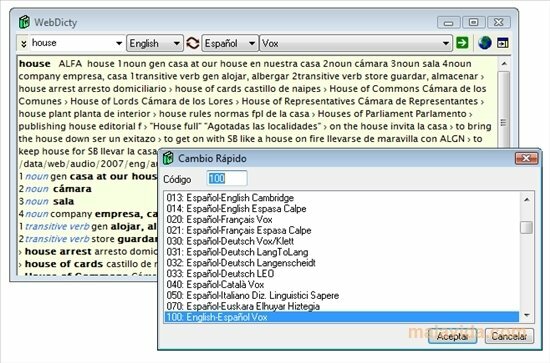 The application makes use of several online sources to perform this task. 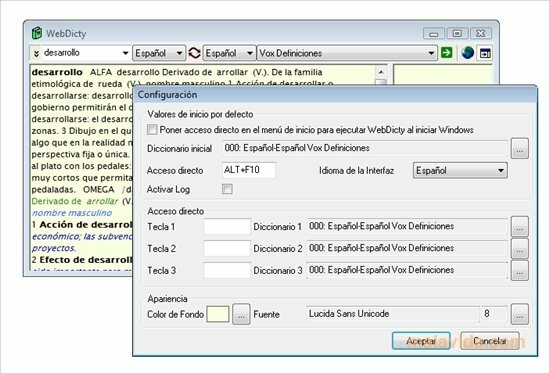 If you were looking for a tool that makes it easy to find the definition of any word in foreign languages, as well as translating certain texts between several languages using a very simple interface, you should take WebDicty into account. This download requires a ZIP compatible compressor. The application requires an active Internet connection to work properly.